Contact Comfort Services, Inc. to request an inspection of your HVAC system. After completing a thorough inspection of your ductwork system and heating and cooling equipment, our specialists will be able to determine if air duct cleaning is needed. Here at Comfort Services, Inc., we recommend that you consider duct cleaning and sealing as part of your overall plan to improve the indoor air quality and energy efficiency of your home. As your experienced HVAC contractor, we have the knowledge and expertise to recommend the right heating and air conditioning services to meet your needs. 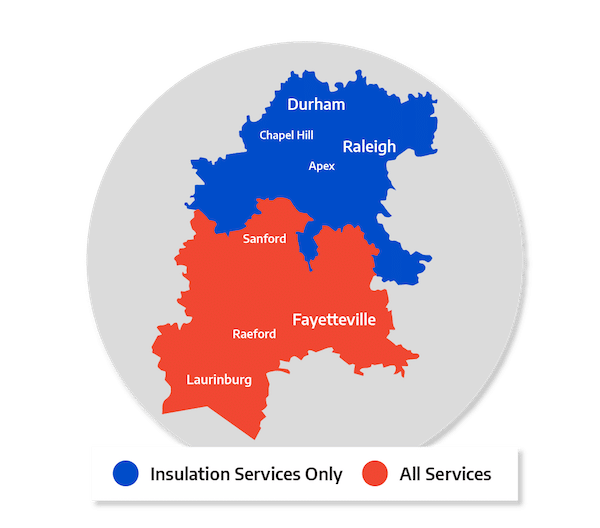 We provide free estimates in Southern Pines, Aberdeen, Pinehurst and surrounding North Carolina areas.